We have an expert teaching faculty of Orthopaedic, Rheumatology and Radiology Consultants and Specialist Physiotherapists who delivery high quality courses that receive excellent participant feedback. The course is aimed at GPs, advanced nurse practitioners, A&E SHOs and physiotherapists working in primary care or triage clinics. The aim of the course is to improve clinical assessment skills and understanding of which patients to refer to secondary care for elective or urgent treatment based upon research evidence and national guidelines. What is the most appropriate imaging? 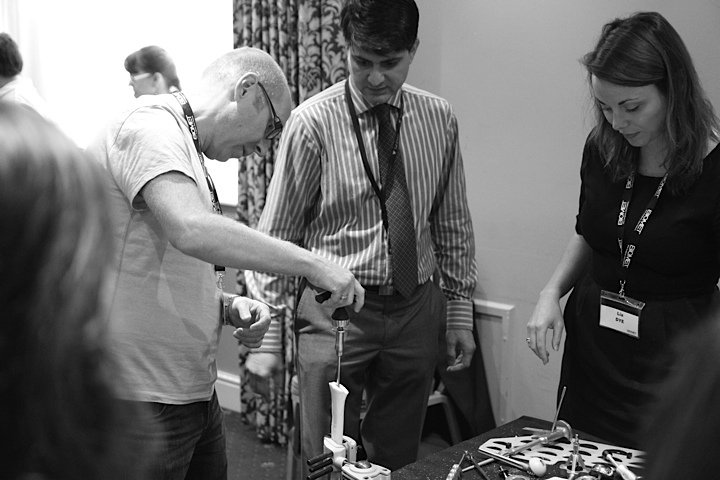 In 2019 we are introducing two new cadaveric upper limb courses. The first is aimed at orthopaedic registrars and covers theatre set-up, injections, knot tying workshops, arthroscopy workshops and open surgical approaches. The second is aimed at physiotherapists and demonstrates common upper limb surgical techniques and review of anatomy plus discussion regarding implications for rehabilitation. Full details can be found on the fliers below and bookings can be made directly with Arthrex.